Looking for a brief respite from your studies? Then why not celebrate William Shakespeare’s birthday today? That’s right–the legendary writer would be 451 today…but we’re sure he wouldn’t look a day over 29. In celebration, take a look at this digital copy of Shakespeare’s original works, or check out some of his plays in book or movie form today! And much, much more! Come on by the library and we’ll set you up with some excellent Shakespearean materials! The library is open until 1AM. 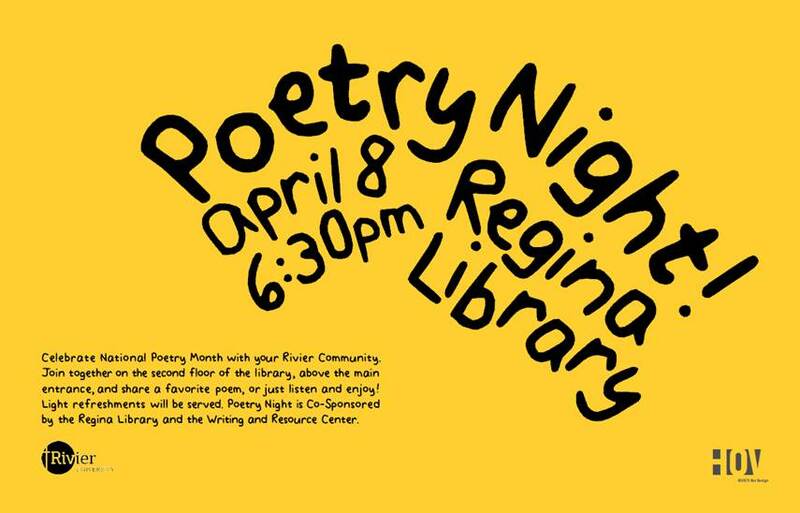 Join Us For A Night Of Poetry! Are you a poet, or do you have a favorite poem you’d like to share with a warm and welcoming crowd? Then join us as the library April 8th at 6:30PM! Not a poet, but like poetry? Great! Come and listen to some excellent pieces. We’d love to see you there!